Human Rights Activist News Agency (HRANA) – Hamid Houshangi, former journalist and director at the state-run news agency, IRNA, passed away Thursday, November 8th of cancer. He was 70. At the time of his death, Houshangi was facing a two-year prison sentence. In a note published September 2nd of this year, Houshangi drew attention to a writ in which he was summoned to serve the sentence despite his diagnosis. 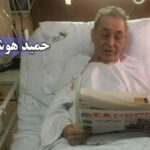 The cancer diagnosis came at about the same time as his prison sentence — ruled by Judge Moghiseh on October 2, 2016 — for charges of “propaganda against the regime” and “gathering and colluding against national security.” The sentence was upheld a few months later by Judge Zargar of Appeals Court Branch 36. Referred throughout his cancer treatment to resources that could only be obtained abroad, Houshangi never broke free of a two-year stalemate with judicial authorities who refused to let him seek care outside Iran. Houshangi started his journalism career with Iranian national radio and television in 1973. Human Rights Activist News Agency (HRANA) – Vahid Ahang, a reporter jailed pursuant to a complaint filed by the Dishmok municipality, has been released after posting a bail of 50 million tomans [approximately $3,000 USD]. An informed source told HRANA that Ahang was arrested on October 31st and interrogated the same day from eight in the morning until noon. Judge Javad Parhizgar and his secretary were reportedly hostile towards him, refusing to accept Ahang’s bail even after the Dishmok mayor and county governor came forward to withdraw the complaint. 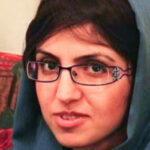 Parhizgar was reportedly worn down by several follow-ups from Ahang’s family, the source said. Ahang’s byline precedes previous reports of mistreatment from visitors to Judge Parhizgar’s office. 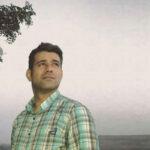 Human Rights Activists News Agency (HRANA) – Hamed Ayinehvand, a detained journalist and political activist who was arrested June 28, 2018 by security forces from the Intelligence unit of Tehran’s Islamic Revolutionary Guard Corps (IRGC) and transferred to the general ward (Ward 4, Hall 3) of Evin Prison, has been in a state of legal limbo for the past three months. Despite the completion of both the investigation process and the judicial proceedings, the Prosecutor of Branch 7 of the Evin Prosecutor’s office has denied Ayinehvand bail. 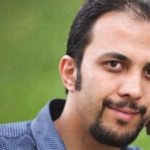 He has been charged with “propaganda against the regime through cyberspace activities.” He reportedly spent 44 days in solitary confinement between his arrest and his transfer to Evin’s general ward. Hamed Ayinehvand is a political activist, journalist, and Ph.D. student of international relations at Islamic Azad University’s science and research department. He was disqualified as a candidate in Iran’s most recent Parliamentary election [via the controversial vetting process of Iran’s Guardian Council]. 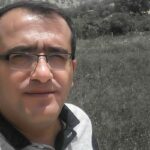 Human Rights Activist News Agency (HRANA) – Kazem Imanzadeh, a journalist from Sanandaj, western Iran, was summoned by Branch 1 of Criminal Court on September 28, 2018. Human Rights Activists News Agency (HRANA) – The former sentence of Motahereh Shafiei, editor of the politics beat of the Arman newspaper in Iran, was appealed to a six-month suspended prison term Monday, September 17th, Ensaf News reports. Shafiei was previously tried and sentenced to six months in prison, plus a two-year ban on both media-related and political activity, by Judge Salavati in Branch 15 of Tehran’s Revolutionary Court. As of the date of this report, there are no details available on her charges or the reason behind her conviction. She is among a group of reformist journalists arrested in 2012 by the Ministry of Intelligence during Mahmoud Ahmadinejad’s presidency. Human Rights Activists News Agency (HRANA) – Seyed Tabib Taghizadeh, journalist and editorial board member of the website Baztab-e-Emrooz, has received a phone call from branch 1 of Evin Prison’s Office of Enforcement summoning him to serve a prison sentence–but that’s not all. While Taghizadeh had been living in the shadow of the two-year suspended imprisonment issued to him in April 2018 for “acting against national security through connections with antagonistic media,” his attorney Mahmoud Alizadeh Tabatabai told HRANA that new constraints have been tacked onto his client’s sentence, per a request from the bailiff of branch 23 of the Revolutionary Court in Tehran, presided by Judge Shahmirzadi. “According to the [updated] verdict,” his attorney explained, “Mr. Taghizadeh […] will be banned from professional media activities for five years; he will also be prohibited for three years from traveling, political activity, membership in political parties, and cyber activities.” Per the terms of his amended sentence, Taghizadeh will also be mandated to present himself in Evin court once per year. 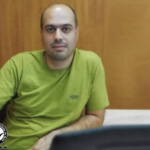 Taghizadeh was arrested for working to rehabilitate the Baztab-e-Emrooz website after it was filtered in his home during a February 8, 2016 raid by authorities. 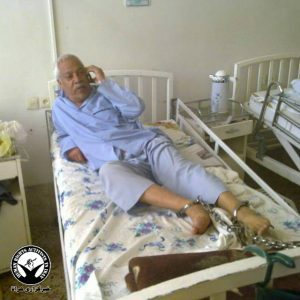 Upon his arrest, he was transferred to solitary confinement in ward 209 of Evin prison where he stayed for 36 days. After having a stroke in prison, he was released on bail. A close source to Taghizadeh previously told HRANA that he proclaimed innocence, denying a relationship with the former editorial board of Baztab-e-Emrooz. However, the court cited instances of [filtered] web content that was later republished, such as news of an attack on Ayatollah Sanei’s office that had appeared in Farsi-language media outside of the country. Such instances were raised and accepted as sufficient evidence of Taghizadeh’s connection to “antagonistic” media. Reporters Without Borders, a news agency specializing in the restrictions placed on reporters working across the world, identified Iran in its 2017 report as one of the world’s top 5 prison funnels for media activists. As imprisoned reporters are released after completing their sentences, more continue to find themselves on trial or behind bars for their work.